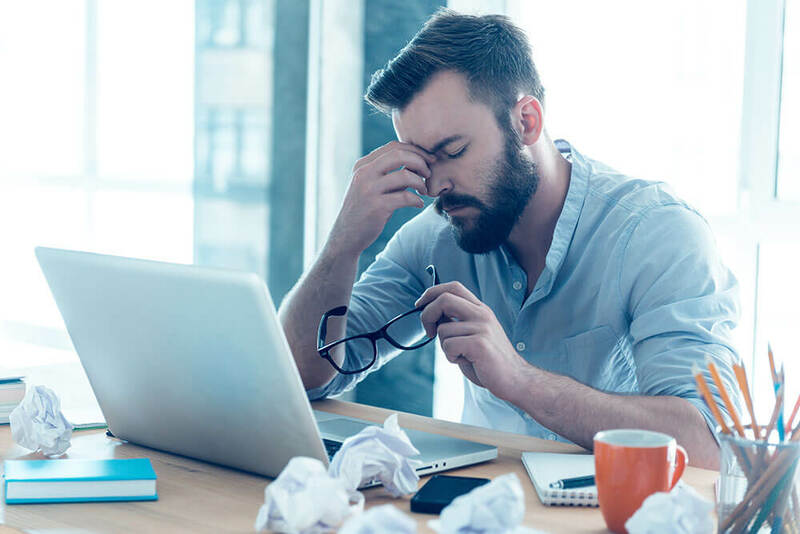 Do you constantly feel drained of your energy during the day? Does your sleep partner complain that your snoring is so disruptive to their sleep that they have to go into another room? Sleep apnea is a common sleep disorder that occurs when a person’s breathing pattern repeatedly stops and starts throughout the night. 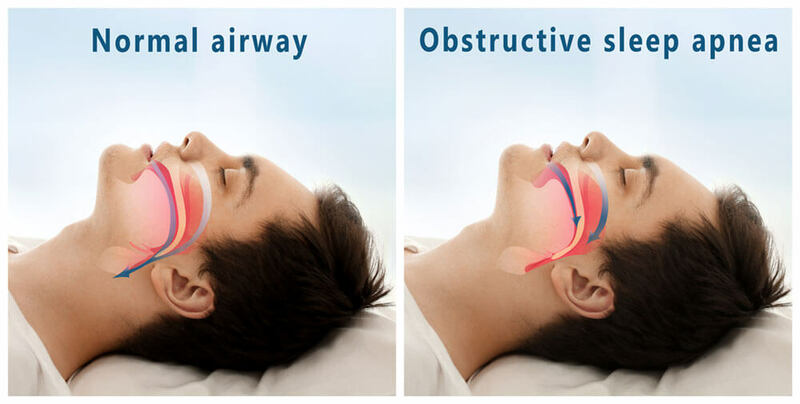 There are three different forms of sleep apnea– obstructive, central, and complex– however, obstructive sleep apnea (OSA), is the most common form where the throat muscles relax during sleep and create an obstruction that blocks the breathing airway. The brain quickly recognizes your inability to breathe and briefly awakens you so you can return to a normal breathing pattern. This pattern may occur up to 30 times or more every hour throughout the night, preventing you from achieving a substantial night’s sleep. Oftentimes, the arousal from a sleep apnea episode is so brief that many sufferers don’t even remember it and aren’t even aware of their condition at all. Most patients only seek to diagnose their sleep apnea because their sleep partner is worried about their reoccurring gasping for air or raucous snoring. Sleep apnea is found most common in older patients and males. However, it doesn’t only affect them. 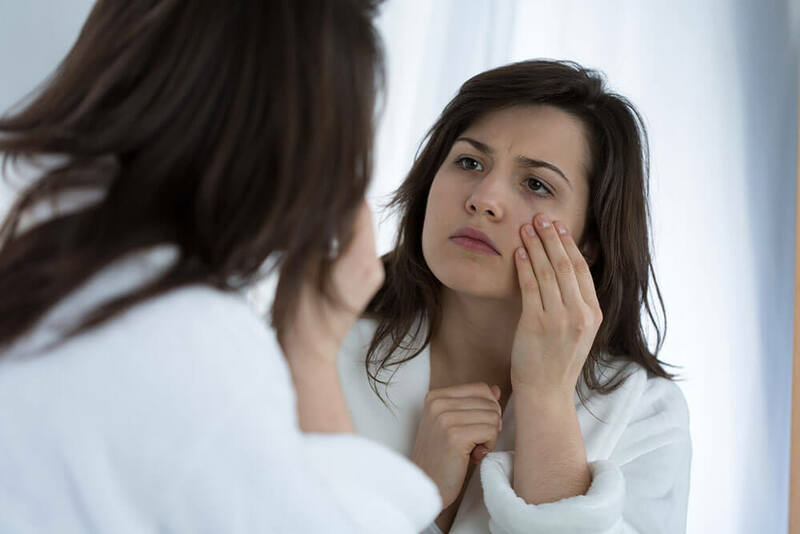 When left untreated, OSA can negatively impact your overall health and has been linked to increasing the risk of various diseases or health conditions. Conveniently Located in Waterford, MI. The only way to properly identify your sleep disorder is by receiving an official diagnosis with a sleep study provided by a local physician, or by visiting our Waterford dental office. 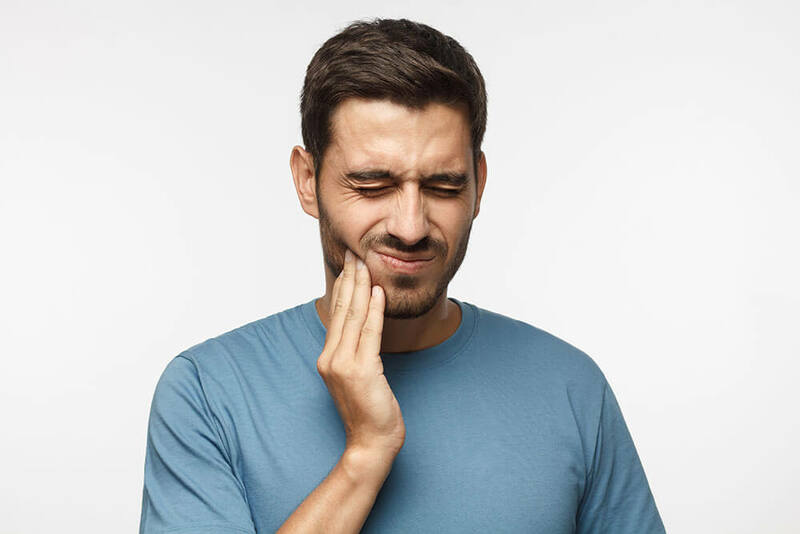 At Oakland Family Dental, Dr. Sheehan may be the first to recognize signs of your sleep apnea and she can provide you with a proper sleep screening. If we think you’re at high risk of having sleep apnea, we’ll advise you to have a sleep test done by a board-certified sleep doctor. We’ll work closely with your medical team to get you the treatment you need, so contact Dr. Sheehan today to get started. She can also discuss with you the various financial options that will help cover your treatment. A continuous positive airway pressure (CPAP) mask is typically the first prescribed treatment for patients once they’ve been diagnosed. 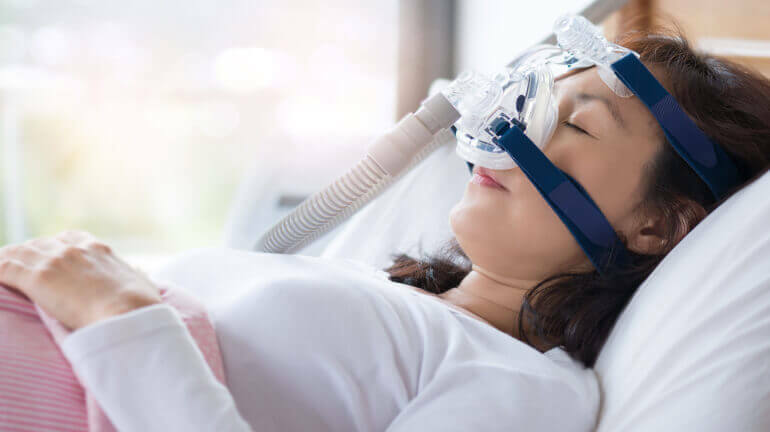 Although highly-effective for many, as many as four in five people don’t use their machine for the required amount of time or completely stop using their CPAP. Many complain the mask is bulky, noisy, claustrophobic, and restricting to their sleep. Without the use of an effective treatment, the risks can be life-threatening. Luckily, CPAP isn’t the only option. If you only use this treatment method occasionally or don’t use it at all, Dr. Sheehan offers comfortable, effective alternatives to CPAP. 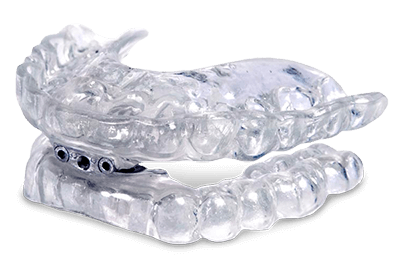 Oral Appliance: Similar to a sports mouthguard, an oral appliance is worn at night to move your jaw forward and clear any obstruction that’s interrupting your breathing. Made for patients with mild-to-moderate sleep apnea, oral appliances are small, convenient, easy-to-use, customized for your comfort, silent, and portable. Lifestyle Changes: A common risk factor associated with sleep apnea is being overweight. Working out and maintaining a healthy diet can help you lose weight and diminish symptoms. Also, quitting smoking and decreasing your alcohol intake can improve your symptoms. Positional Therapy: Training yourself to sleep on your side, as opposed to your back, can also help alleviate your snoring and sleep apnea. Try the tennis-ball technique, where you use a ball to strap to your back, so whenever you try to sleep on your back, it will encourage you to move to your side. Throat Exercises: Practicing various throat exercises can help stretch and tone your muscles along the airway, making it more difficult for your throat to close while you sleep. Surgery: There are a number of surgeries available for more severe cases of sleep apnea. Some include nasal surgery to correct a deviated septum or maxillomandibular advancement surgery, which corrects throat obstructions that contribute to sleep apnea.